On top of making you feel self-conscious about your smile, missing teeth may make such everyday tasks as speaking and eating more difficult. If you are missing one or more of your natural teeth and searching for the most effective way to rebuild your smile, the Prettau® Bridge may be ideal for you. Dr. Clifford Degel offers this solution at his dental practice in Queens, giving his patients the opportunity to have a mouth full of strong, healthy teeth once again. If you’re looking to fill in that gap that weakens your bite and dims your smile, you’re most likely a candidate for the Prettau Implant Bridge. Patients must practice satisfactory oral hygiene in order to be a candidate for the procedure. During your initial visit to our office, Dr. Degel will thoroughly examine your teeth, gums, and jaw to determine whether the treatment is a suitable option for you. If periodontal disease or tooth decay is evident, Dr. Degel will have to treat those critical issues first to ensure your health. In your first visit, the dental implants that will be used to secure the bridge will be carefully embedded in your jaw. Over the following few weeks, the implants will fuse with your jaw bone, essentially becoming part of your natural anatomy. During this healing process, you will be provided with a temporary plastic bridge for your comfort and safety. Unlike traditional restorations, the Prettau Implant Bridge is affixed directly to the jaw. Your bridge will be designed using CAD/CAM technology, which is a tool that is used to meticulously create an accurate computer-generated model of your artificial teeth. Our staff is thoroughly trained to use this technology, so that the design for your bridge will be customized to your precise needs, helping to ensure your satisfaction with the end result. At our trusted dental lab, the bridge will be custom-milled out of a solid block of zirconia, the strongest and most durable dental material available. Once your bridge has been crafted, we’ll check it thoroughly for quality assurance and then place it in your mouth, making whatever adjustments are necessary. If they fit just right, we’ll set them permanently, and you may enjoy the advantages of having the most resilient bridge in dentistry. Your Prettau Implant Bridge will be designed using CAD/CAM technology, which is a tool that is used to meticulously create an accurate computer-generated model of your artificial teeth. The material is non-abrasive, so your gums will not get irritated. 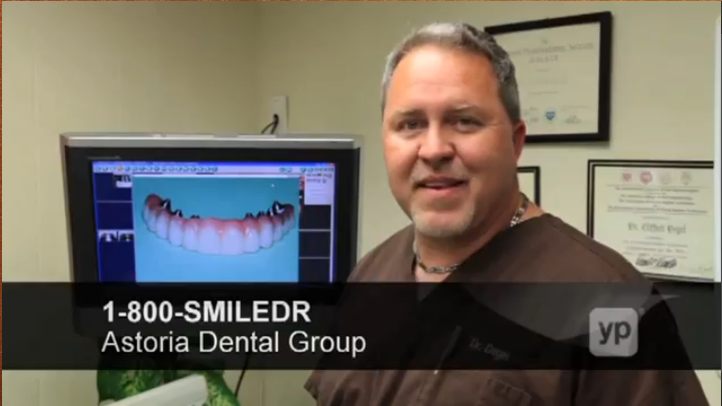 We are able to customize your bridge to your unique smile. Zirconia is stronger and more resilient than any other material used in restorative dentistry, including porcelain. Zirconia is highly resistant to chips, cracks, and stains. For more information or to schedule a consultation, please contact us at a time that is convenient for you. You can reach Astoria Dental Group online or by calling (718) 278-1123.